1908 AD - 1909 AD: Russian explorer Colonel Pyotr Kuzmich Kozlov and his expedition travel in the Tarim River Basin, Inner-Mongolia and the Hexi Corridor, discovering valuable scriptures hidden inside a stupa at Kharakoto (Today: Heicheng in the extreme north-west of Inner Mongolia Autonomous Region ), the abandoned former Capital of the 13Th Century Tangut Empire (982 AD - 1227 AD). The find constitutes as unique and amazing historic find which will end up restoring the Tangut Kingdom to its rightful place in the history of the Silk Road in China. Since more finds have revealed more of this interesting civilization. At the Mogao Caves at Dunhuang further Chinese and Tibetan scriptures are "gained". The scrolls and scriptures later provide a unique understanding of Tangut Civilization, language and culture. 1908 AD: William Edgar Geil travels along the Great Wall of China from Shanhai Pass in the East to Jiayu Pass and Jiayuguan Fortress in the West. It is the first full length trip along the mysterious Great Wall by a Westerner. Geil 'discovered' the 'Eastern Fork' - where the two layers of the Great Wall in North Shanxi Province are connected, the Loop of the Great Wall of China through Eastern Tibet and many other smaller facts about the Great Wall unknown outside of China. Through Geil's Book and Photographs the truth about the State and Lenght of China's mysterious Great Wall is 'finally revealed'. 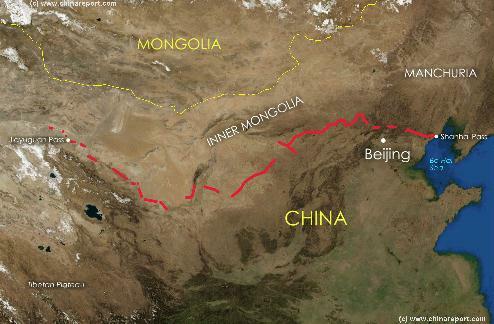 Not entirely, as later discoveries proved there was even more to the Wall then Geil discovered, the Han Dynasty Great Wall leading from Jiayuguan to Dunhuang and even beyond to Lop Nor‍‍. March 21, 1909 AD: The remains of the Báb (birth name: Siyyid `Alí Muhammad Shírází ; Persian: سيد علی ‌محمد شیرازی‎)(Life: October 20, 1819 - July 9, 1850),prophet and the founder of Bábism (Bahá'í Faith ; Persian: بهائی‎ Bahā'i), are placed in the Bahá'í Shrine of the Báb on Mount Carmel in Haifa, at this time within the Ottoman Empire. In 1863, after being banished from his native Iran, Bahá'u'lláh announced that he was this prophet. He was further exiled, spending over a decade in the prison city of Akka in Ottoman Palestine. Bahá'u'lláh's died in 1892. After its independence in 1912 Mongolia initially reappears as a Buddhist Theocratic state much resembling the befriended brother Nation of Tibet (which had also declared Independence) however officially still recognized as a Russian Protectorate. Regardless its official status as Buddhist Theocratic Kingdom, the period 1911 to 1923 is regarded a turbulent and violent chapter in Mongolian history today popularly but largely incorrectly thrown together under the title of Mongolian Revolution. The Mongolian revolution initially played out as a striving for National independence, mutual cooperation and freedom from outside threats and interference such as from neighboring China. Eventually however through foreign influence it was turned into a flimsy communist coup D'Etat which eventually lead to Russian overlordship, as was planned by its executors. 1900 AD: Aurel Stein launches his first expedition in Central Asia during which he travels along what today is identified as the Karakoram Highway. He passes through the Swat Valley and over the Karakoram Range to Tashkorghan (currently in Xinjiang-Uygur Autonomous Region of China (P.R.C.). From there Stein moves eastward to Khotan for two weeks of excavations. 1901: Evangeline (Eva) French meets Mildred Cable while working for the China inland Mission in China. From then on the two would be inseperable in life, among things working together along the Silk Road in Gansu and Xinjiang, and there after co-authoring a book which makes them legendary silk road travelers in modern times. 1903: British Invasion of Tibet . British Forces on what today is widely known as the (Sir)(Francis) Younghusband Expedition invade Tibet from India advancing on Lhasa. After a massacre of a Tibetan Army (March 31, 1904) on passes leading to Lhasa the British Army reaches the city. 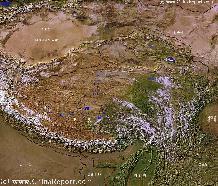 The purpose of the expedition is to force Tibet to seed disputed border regions to British India, which also occurs. After some time the British retreat back down the mountains and into India but the matter of cross-border relations with the British will continue to play up. Friendly contacts with British Officers in India continue afterwards. July 21, 1904: Russia completes construction of the Trans-Siberian Railway between Moscow and Vladivostok after some 12 years of hard work. This opens the first railway spanning the Eurasian continent. Official opening was on January 1, 1905. 1904: Protestant Missionary George Hunter of the China inland Mission opens a Church and Mission in Chinese Turkestan (Xinjiang). The first in the enormous region with an overwhelmingly Muslim population. 1905 AD: Birth of Mohammed Abdullah also known as "The Lion of Kashmir" (Life: 1905 - 1982), who later in life would go on to lead the Kashmiri Independence Movement (1947 - 1982 officially). 1906 AD - 1908 AD: Sven Hedin travels to the source of the Indus River and the source of the Brahmaputra Rivers in eastern Tibet and follows the Sutlej (Satadree) River, and in so doing "discovers" the Trans-Himalayan Mountain Range. 1906 / 1907 AD: After entering Chinese Turkestan (Today's Xinjiang ) overland from India via the Pamir mountains, Hungarian-British archeologist Marc Aurel Stein found the Library of Documents sealed in a previously sandblown cave at the Mogao Caves outside of Dunhuang in current day Gansu Province‍‍. March 1907; From the Library Cave in which at around the year 1015 AD massive numbers of books and also other antiques had been stored, he managed to secure a multitude of documents. Among the most famous documents collected by Stein as they are known today are the now famous Diamond Sutra, better known as the worlds first printed book dated at or around 868 AD, thereby precluding the Guttenberg Bible by many centuries. The other books were found to contain great historic books of Buddhist art, treaties on Buddhism and the like. Stein takes away 24 cartloads of ancient scriptures, including ancient Star Maps and the now Famous Diamond Sutra, which is a block-printed document. The entire collection by Stein from the Mogao Caves and send abroad ultimately wound up in the collection of the British Museum in London. In the modern day all documents of what is known as the Stein Collection have been made available online for free for anyone around the world to see and study. As visitors to the Mogao Caves may find, at Dunhuang in particular but across China Aurel Stein is loathed for what is often seen as cultural vandalism and moreover the theft of priceless cultural heritage. In 1924 Mongolia officially becomes a protectorate of the Soviet Union (U.S.S.R.) and is formally organized as the Mongolian Peoples Republic. The event liberates the Mongolian Nation from century old infringements, infiltrations and claims to Sovereignty over Mongolia by neighboring China, but it is the beginning of an age of dire political repression. Soon the destruction of the famous Buddhist Monasteries spread along the roads in Mongolia starts. Monks are humiliated, made prisoner-slave and are executed en masse, their Monasteries robbed then burned to the ground. In the same year, with Soviet style organization imposed within the main political party in China, the Kuomintang, and its army, Russian influence in Chinese affairs is growing. For the time being Nationalists and Communists cooperate in one Government under heavy soviet advisory. 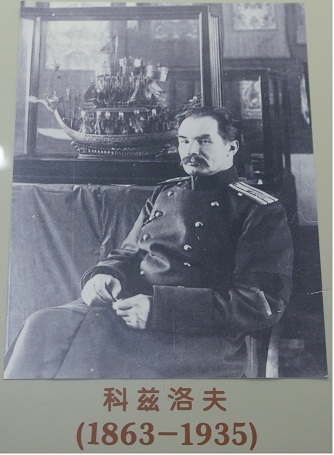 Photo of Russian explorer and geographer Pyotr Kuzmich Kozlov as shown at the Xixia Wanling (Tangut King Tombs) Museum outside of Yinchuan in Ningxia Hui Autonomous Region, China (P.R.C.). of China. After 8 months of traveling, most of it on foot, they reach the historic silk road town of Zhangye along the Great Wall of China in Gansu. Eventually they make their way to the famous town of Suzhou (Jiuquan), just within the gates of the Great Wall of China of the Ming Dynasty, where they rent housing and a building to se as church. Jiuquan is their base until 1936, although many months will be spent traveling. In the following years they will follow the foot trails of the ancient silk road, which at the time is still operating but on a more localized level. In their multiple journeys they learn the ins and outs of the management and goings on of camel caravans, the various ethnic peoples of the silk road Oasis, and leave invaluable eye-withess accounts of the smallest and seemingly insignificant locations along the entire Silk Road in Gansu Province and large parts of what today is the Xinjiang-Uyghur Autonomous Region . Between 1923 and 1926, the three missionary women traveled extensively in the Hexi Corridor of Gansu Province eventually extending their reach and religious work to Tibetan Tribes and villages living in what today is part of Qinghai Province of the Peoples Republic of China‍‍. After having taken two years leave between 1926 and 1928, the second journey starting in 1928, brought the three women westward into Xinjiang, roaming the territory from the south to north and on their way, being detained or held hostage by a notorious local Hui Chinese Warlord, Ma Zhongying (Life: 1910 - ?/ Not heard of after 1936 and missing), in order to tend to his wounds. A third journey starting in 1932 led northward into territories of Inner Mongolia where they reached as far north as Edzin Gol Lake , the terminal lake of the Hei (Edzin or Black) River‍‍. In 1936 the take their journey home-bound on the Trans-Siberian Railway. In the aftermath, after their retirement home to England, Mildred Cable and Francesca French co-author the book; "The Gobi Desert" with the subtitle "The adventures of three women traveling across the Gobi Desert in the 1920s". It leaves a completely unique account of the lands and regions traveled, not available from other more renowned authors (nearly all of them Male). October 1920 AD - With all Russian Forces occupied in the aftermath of the Russian Revolution, Chinese Forces reoccupy outer Mongolia (which today is referred to as Inner Mongolia )(Due to a peculiar perhaps naieve acceptance of faulty Chinese name giving by westerners in the 20th century). 1921: Working together Mongolian Armed Forces and Soviet Russian Forces mop up remaining "White Russian" Forces in (Outer Mongolia), Mongolia minus the Tyvan (Republic) and large territory of Buryat Mongols in Siberia was effectively split off becoming separate parts of the Soviet East Asian Empire, while the rest of Mongolian Territory (Today: Mongolia) was declared a Russian (Soviet) Protectorate State. This was largely in response to Chinese moves in "Inner Mongolia". 1921: Swedish Archeologist John Gunar Andersson began excavations at the first site identified as being part of the early Chinese Yangshao Cultures (5000 BC - 3000 BC) in the north-west of Henan Province . The culture is named after the location of this first find: Yangshao. Later in history it would be proven that the culture extended further westward in Shanxi and Shaanxi Provinces. Today, the earliest remains of this culture may be found at the renowned Banpo Neolithic Culture site (of the Yangshao Culture) on the outskirts of Xi'An (Ancient Chang'An), the old western Chinese Capital and starting point of the silk road (from a Chinese perspective). 1921: In the year following the defeat of Syria in the war against the French, a French military base was built near the village at the ruined historic site of Palmyra. 1921: Find of the object today known as Plimpton 322 at Senkereh (suspected to be Larsa (possibly Biblical Ellasar, Genesis 14:1)), in southern Iraq. The object, a Sumerian Era (4500 BC - 1900 BC) clay tablet, passes into western hands in 1922 to make its way to Museums and collectors. Later, after years of careful studies it is dated to 1850 BC - 1600 BC and shown to be a trigonometric tablet, inscribed not in decimal but hexasigimal system. This makes it the oldest known trigonometric table and calculations known human history as previously the Greek Philosopher Hipparchus (Grieks: Ίππαρχος ο Ρόδιος of Ίππαρχος ο Νικαεύς)(Life: 190 BC - 120 BC) was held to have been the "father of Trigonometry" (one of the first proponents of). 1922: Turkish Armed Forces led by Mustapha Kemal (Later: Kemal Ataturk) routed the Greek Army in Anatolia subsequently pursuing the beaten Greek Forces to Smyrna (Today: Izmir in Turkey ; historically Smyrna: refounded in 4th century BC after take over by armies of Alexander the Great). Turkish Forces take Smyrna and massacre tens of thousands of Greeks among them a sizeable portion of the civilan population. 1922: Kurdish Liberation movement eyeing promised ideas as autonomy and freedom which never materialize start an uprising against British occupation forces in Iraq. The unrest will last through into 1924. 1923: Mongolian women in the Mongolian Peoples Republic win the right to vote and also to be elected. 1923: Female British archeologist Gertrude Margareth Lowthian Bell founds the Iraq National Museum at Baghdad in Iraq and becomes its first Director of antiquities (1923 - 1926). She will remain the director until her death in 1926 (apparently from an overdose of sleeping pills). 1923 AD - 1925 AD: In the spring of 1923 twenty-eight camels, 6 horses, 4 Mongolian guides forming the backbone of the Wulsin expedition (under Aegis of the National Geographic Society in the United States of America) set off from Paotow (Baotou) on the Yellow River (in Inner Mongolia AR) on an unprecedented exploration mission through Inner-Mongolia and along Chinese parts of the Silk Road. During the two year long journey husband Frederick Wulsin records flora and fauna, wildlife and other natural features of the regions while Janett Elliot Wulsin documents it in around 1200 photos leaving unique data and images. The route followed leads through Inner-Mongolia, Ningxia, Gansu and finally East Tibet ( Qinghai Province). December 1923: Mustapha Kemal becomes the first ever President of the free and independent Turkish Republic, which is a non-religious state. Westernization and secularization of Turkish society began soon after. Youtube Video: The (Communist) Holocaust in Mongolia. Testimony of a horrific era in recent Mongolian history. of Islam forcing the Hashimite King Hussein Ibn Ali to abdicate. This marks the end of the long Arabian Civil War (1902-1925). June 10 - August 10, 1907 AD: In the spring of 1907 AD French Newspaper "Le Matin" (The morning) grabs the worlds attention and imagination by issuing an extra-ordinary challenge : Who will travel from Peking (Beijing) to Paris by motor-car this Summer? What is still hailed as the maddest motor-car race in human history was on. Eventually the challenge is accepted by a team of 3 Italians, Prince Scipione Borghese, his chauffeur Ettore and one Luigi Barzini, the latter an experienced international journalist responsible for telegraphing back reports on the race and its progress. The route leads from the (now former) Foreign Legations Quarter in Beijing through Inner-Mongolia, Mongolia and Russia is known as the trans-eurasian trade route, the northernmost part of the larger Silk Road pathways. 1907 AD: Russia completes the Tashkent (‍‍ Uzbekistan ) to Orenburg (Оренбург ; Today: Orenburg Oblast, Russian Federation, very near the Kazakhstan border) Railway, major piece of transport infrastructure needed to consolidate its recently gained grip on the Khanates of Central Asia (Khiva, Bokhara, Kokand). October 21, 1907: The 1907 Qaratog earthquake occurred at 04:23 UTC on 21 October near Qaratog (Karatag) in the border area between Uzbekistan and Tajikistan . The shock had an estimated surface wave magnitude of 7.4 and a maximum felt intensity of IX (Violent) on the Mercalli intensity scale. Estimates of the death toll range between 12,000 and 15,000. 1908 AD: A year after the magnificent "discovery" of the Library of scriptures at the the Mogao Caves near Dunhuang , French archeologist Paul Pelliot visited what was then identified as the Caves of the Ten Thousand Buddha's (a common referral to holy caves), today the Mogao Caves , again taking away thousands of ancient Buddhist scriptures (a multitude of scrolls, manuscripts and also scraps). In the same period European archeologists were taking thousands of artifacts out of Central Asia, sometimes - as was the case in Dunhuang - sawing entire statues and murals off the wall and shipping them out to overseas or overland destinations. November 15, 1908: Death of Empress Dowager Cixi (Life: 1861 AD - 1908 AD), by many historians today recognis‍‍ed as the last great Monastic ruler of the Manchu-Chinese Qing Dynasty (1644 AD - 1911 AD) . She had ruled over the Manchu Empire for 47 years during which the Dynasty saw only problems, revolts, foreign invasions and in general a steep decline. The death of the Empress-Dowager left the already dying Dynasty headless, the rule in the hands of a figurehead Emperor (Pu Yi), a severely under aged child. 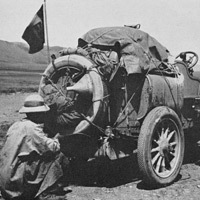 The winning car in the Peking to Paris Race. A Satellite Image overview Map of the entireTibetanPlateaux including parts of bordering regions of Xinjiang-Uyghur AR, Gansu Province, Ningxia Hui AR, Inner-Mongolia AR, Sichuan Province and Yunnan Province. Surrounding nations and Territories are: Myanmar (Burma), Bhutan, Sikkim, Nepal, Bangladesh, India, Kashmir and Pakistan. October 4, 1914: The 1914 7.0 magnitude Burdur earthquake (maximum intensity of IX (Violent)) occurs near Lake Burdur (Turkish: Burdur Gölü) in south western Turkey. The mainshock and subsequent fire destroyed more than 17,000 homes, nearly 100% of all buildings in Burdur town and likewise, Kilinc was completely destroyed and in Keciborlu around 85 percent of the houses were lost. In the city of Isparta the great Mosque was destroyed along with more than half of the homes. The quake caused 2,344 casualties. 1914: Birth of Mohammed Zahir Shah (Life: 1914 - 2007)(Pashto: محمد ظاهرشاه ; Persian: محمد ظاهر شاه) who would rise to the throne in 1933, to be the last King and Ruler of Afghanistan until a coup d'etat in 1973. 1915: Marcus Aurel Stein returns to the Mogao 10 Thousand Buddha Caves near Dunhuang (today in Gansu Province, China (P.R.C.)) in order to take some 600 more documents from its ancient library of Buddhist scriptures, scrolls and manuscripts. Today he remains a despised historic persona due to what is seen by the general Chinese public as theft of cultural heritage. 1914-1915: S.F. Oldenburg expedition brings Mongolian and Chinese scriptures and documents from Dunhuang in Western Gansu Province . In October of 1917, as part of a general British effort to undermine the falling Turkish-Ottoman Empire, at Petra in Jordan (at the time Trans-Jordania), a Revolt of Arabs was led by British Army Officer T.E. Lawrence a.ka. Lawrence of Arabia. Beduin Women of Petra Oasis led by the Sheikh Khallil's wife train and take up arms. With the hidden silk road city a perfectly well defendable position, Petra holds as a bastion of the anti-Ottoman revolt. No damage to the historic ruins of Petra is reported. The Arab riots in Jordan eventually crush the Ottoman-Turkish authority in large parts of the Middle East. 1920-1921: While the Franco-Syrian War for control over Syrian territories rages and the territories of Palestine are shortly to be handed over to United Nations control and administration, Jewish settlers in Palestine organize their very own elections. The situation comes to boiling point in Palestine and the "Arab Riots" of 1920 and Jaffa Riots of 1922 mark a step up in tensions and violence between bands of unwanted Jewish immigrants and Arab populations in various cities and territories. In the aftermath Jewish organizations and communities establish the Haganah, an official army, as a tool for Jewish settlers to defend themselves against aggression from Arabs and Palestinians. Meanwhile, Jewish settlers continue to claim and buy more land. The Haganah soon becomes the spearpoint of Jewish military operations in Palestine before the advent of the Jewish Zionist State of Israel, cut by force from the land of Palestine. 1924: Freed from the Library of Saint Petersburgh and given to the Muslims of Ufa, in Bashkortostan (Today: Autonomous Republic of the Russian Federation), by Vladimir Lenin after the 1917 Bolshevik Revolution, the Uthman Koran (also known as Samarkand Kufic Koran, Samarkand Codex, Samarkand Manuscript and Tashkent Koran; also spelled Osman Koran) an islamic codex, in Kufic script, dated back to the 8th century which belonged to Uthman ibn Affan, the third Caliph (of the four Righteous Caliphs who succeeded the Prophet Muhammad) and is believed to be the world’s oldest Koran copy is returned to Uzbekistan , where it has been kept in Tashkent ever since. 1917: Seeking to expand their territory westward, t‍‍he Chinese Muslim Ma clique with their power base in Ningxia and Gansu Province, under command of Generals Ma Qi (simplified Chinese: 马麒; traditional Chinese: 馬麒; pinyin: Mǎ Qí; Wade–Giles: Ma Ch'i, Xiao'erjing: ﻣَﺎ چِ‎)‍(‍‍Life: 23 September 1869 - 5 August 1931) and his son Ma Bufang (traditional Chinese: 馬步芳; simplified Chinese: 马步芳; pinyin: Mǎ Bùfāng; Wade–Giles: Ma Pu-fang, Xiao'erjing: ما بوفنگ‎)(Life: 1903 – 31 July 1975) launched several attacks against Labrang Monastery in the Tibetan Amdo Province (in the current day Xiahe County, Gannan Tibetan Autonomous Prefecture, Gansu‍ ‍‍Province, China (P.R.C.)) as part of a general anti-Golok Tibetan campaign. Ma Qi occupied Labrang Monastery in 1917, the first time non-Tibetans had seized it. Ma Qi defeated the Tibetan forces with his Hui troops. It was brutal affair involving wholesale slaughter of rebellious Tibetans and bystanders but even s‍o‍‍ his forces were praised by foreigners who traveled through Qinghai for their fighting abilities. The campaign was the beginning of a struggle between invading Hui Muslims and native Tibetans named as the Ngolok rebellions (1917 AD - 49 AD). 1922‍‍-1923‍‍: (Golok) Tibetans once more attacked the Ninghai Muslim army of the Hui Muslim Ma Clique of warlords in 1922 and 1923. Having been defeated regardless of their ruthlessness and possession of modern fire arms, the Ninghai army regrouped and returned in 1924 and crushed the Tibetans, killing numerous Tibetans. 1921: (Golok) Tibetans are once more attacked by the Ninghai Army of the Hui Muslim Ma Clique of warlords. Ma Qi and his Muslim army decisively crushed the Tibetan monks of Labrang Monastery when they tried to oppose him. Golok Tibetans, fighting men, women and children are massacred wholesale. Hui Muslims decorate their camp with heads of decapitated Tibetans. 1917‍‍: In 1917 Ma Anliang ordered his younger brother Ma Guoliang to suppress a rebellion of Tibetans in Xunhua (Today: Xunhua, Xunhua Salar Autonomous County (Chinese: 循化撒拉族自治县; pinyin: Xúnhuà Sǎlázú Zìzhìxiàn; Salar: Göxdeñiz Velayat Yisır Salır Özbaşdak Yurt)) who rebelled because of taxes Ma Anliang imposed on them. Ma Anliang did not report it to the central government in Beijing and was reprimanded for it, and Ma Qi was sent by the government to investigate the case and suppress the rebellion. 1923: The ‍Kayue culture (Chinese: 卡约文化; pinyin: Kǎyuē wénhuà), a Bronze Age culture dated to between 900 BC and 600 BC in Northwest China in the area of the upper reaches of the Yellow River and its tributary Huang Shui (Tib. Tsong Chu) is discovered for the first time Johan Gunnar Andersson (Chinese: 安特生; pinyin: Ān Tèshēng)(Life: 3 July 1874 AD - 29 October 1960 AD). It was discovered in 1923 in the villages Kayue (卡约) and Xiaxihe (下西河) of Yunguchuan Huangzhong in north western Amdo Province of Tibet (since renamed to Qinghai Province) and is named after the village of Kayue. Since the first discovery (when it was thought to be a part of the earlier dated Qijia Culture (2200 BC - 1600 BC)) it has been determined that the Kayue culture was a separate culture which developed from the Qijia Culture (Traditional Chinese: 齊家文化, Simplified Chinese: 齐家文化) and was mainly distributed in the territory of the contemporary Minhe, Ledu, Ping'an, Xining (City), Huzhu, Datong, Haiyan, Gangca (Gangcha), Tongren and Huangzhong counties, where more than 200 sites and over 1,000 graves have been found since 1923. Among the cultural relics discovered that have been found were gold artifacts considered particularly valuable because they reveal facts about gold smelting, production, and use at an early time. They reflect the cultural uniqueness of the ancient Qiang (羌) people, who lived in the northeastern region of Qinghai-Tibet Plateau. 1902‍‍ AD: As result of an earthquake in 1902 part of the Masud III minaret built during the Rule of Ghaznavid Ruler Masud III (Reign: 1099 - 1115 AD))(The excavated palace of Mas'ud III lies nearby to the towers), one of the world renowned Minartets of Ghazni in Ghazni City, Ghazni Province of Afghanistan was destroyed with its top levels collapsing and falling to the ground. The second minaret, the so called Baghram Shah Minaret built during the rule of Bahram Shah (Reign: Officially 1117 AD / Factually 1118 - 1157 AD) is said to have survived unscathed although today its top levels have also crumpled and fallen. August 29, 1904: Death of Ottoman Sultan Murad V (Ottoman Turkish: مراد خامس‎)(Life: September 21, 1840 - August 29, 1904) was the 33rd Sultan of the Ottoman Empire who reigned from 30 May to 31 August 1876 and was deposed for being mentally ill..
1905‍ AD - March 1907: German Indologist, tibetologist, archaeologist, and explorer Albert Grünwedel (Life: July 31, 1856 - October 28, 1935) leads a third German expedition to Turpan, Xinjiang (the far west of China), the results of which were published in the book "Ancient Buddhist Religion in Chinese Turkistan (1912)". 1913 - 1914 AD: Albert von Le Coq (Life: September 8, 1860 - April 21, 1930) leads the fourth German archeological mission in Xinjiang, again visiting among things Turpan. His account of the second and third German Turpan expeditions was published in English in 1928 as the book entitled "Buried Treasures of Chinese Turkestan". September 24, 1904: Swedish missionary serving with the Swedish Missionary Society (Svenska Missionskyrkan) John Törnquist arrives in "Xinjiang" (Eastern Turkestan). From that moment he would go on to be the longest serving missionary of the Swedish Missionary Society in Chinese Turkestan. John Törnquist served there from 1904 to his death in 1937. Today Törnquist remains relatively famous among things as a result of his writings, photograps, observations of cultural aspects, the mention of his presence by other silk road explorers and travellers and a series of films he made between 1931 and 1934 in Kashgar, East Turkistan (Xinjiang), China. The films show Kashgar and in particular Hancheng, the Han Chinese settlement in Kashgar where he worked. Youtube Video: The Törnquist films made in Kashgar in East Turkestan (Today: Xinjiang, China (P.R.C.)) in black and white (no audio). August 28-September 2, 1920: Bukhara was the last capital of the Emirate of Bukhara and was besieged by the Red Army during the Russian Civil War. During the Bukhara operation of 1920, an army of well-disciplined and well equipped Red Army troops under the command of Bolshevik general Mikhail Frunze attacked the city of Bukhara. On 31 August 1920, the Emir Alim Khan fled to Dushanbe in Eastern Bukhara Emirate (Today: Tajikistan) (later he escaped from Dushanbe to Kabul in Afghanistan). On 2 September 1920, after four days of fighting, the emir's citadel (the Ark) was destroyed, the red flag was raised from the top of Kalyan Minaret. On 14 September 1920, the All-Bukharan Revolutionary Committee was set up, headed by A. Mukhitdinov. The government—the Council of People's Nazirs (Commissars)—was presided over by Faizullah Khojaev. 1902: With a wooden road bridge already built across the Oxus River (Amu Darya‍)‍‍ between Termez (Today in in Uzbekistan) and the town of Hairatan (Today in the northern Balkh Province) of Afghanistan already in place in 1888, Russian troops start the construction of a railway bridge across the same river. The Amu Darya railroad bridge running nearly three kilometers was strengthened with wooden piles. It was announced the largest feat of engineering of that time. The railway bridge was in operation only 14 years. Due to the river rapid flow and the sandy bottom, the bridge began to collapse and very soon became unserviceable. he was about to be executed, but the local police chief stopped the process at the last minute. In March 1919, the British offered to release Bolshevik prisoners they were holding in Persia in exchange for Tredwell's freedom. This exchange, however, never took place.‍‍ He was taken from Tashkent to Moscow, then onward to Finland, where he was released in May 1919. Upon his return, he denounced Bolshevik rule and predicted that the Russian people would soon rise up against it. 1900 AD: In the year 1900, the so called Boxer Uprising (Yihetuan Movement (義和團運動)) which has started in earnest in 1899 comes to a boiling point. The Capital of Beijing is occupied by the anti-foreign forces of the Boxer's, and with silent support of Empress-Dowager Cixi of the Qing Dynasty (1644 AD - 1911 AD), foreigners are attacked across northern China while their diplomatic quarter, the "Legations" fall under siege. On january 27, Foreign diplomats in Peking, the Capital of Qing Dynasty China, demand that the Boxer rebels be disciplined. Relief forces are dispatched by sea by 8 allied foreign nations to deal with the rebellion, save the foreign diplomats and force the Qing Dynasty Court into resignation. 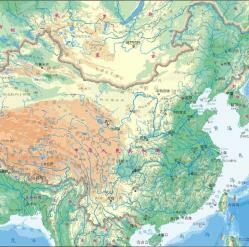 On may 27, Boxers destroy three villages near Peking, and kill 60 Chinese Christians. On May 28, The Boxers attack Belgians, who are fleeing to Beijing through the Fengtai railway station. On may 31, Peacekeepers from various European countries arrive in China, where they join with Japanese forces. On June 17, The Battle of Dagu Forts at the port of Tianjin takes place: Naval forces of the Eight-Nation Alliance capture the Taku Forts, on the Hai River estuary. In response, on June 20, Boxers gather about 20,000 people near Peking, and kill hundreds of European citizens, including the German ambassador. On August 14, Boxer Rebellion: An international contingent of troops, under British command, invades Peking and frees the European hostages. They go on to loot Beijing and the Forbidden City, while in retaliation they burn down the Yuanmingyuan Summer Palace. March 31, 1901: Black Sea earthquake (also known in Bulgaria as Balchik earthquake); a heavy earthquake measuring 7.2 on the Richter Scale occurs off the northwest coast of Bulgaria in the Black Sea, with a maximum intensity of X (Extreme). A destructive 4 to 5 meter high tsunami affects the province of Dobrich (Bulgarian: Област Добрич, Oblast Dobrich, former name Dobrich okrug). The shock was felt throughout Bulgaria, southeast Romania, Moldova, eastern Serbia and northwest Anatolia, causing great panic in Istanbul and on the Asiatic coast of the Bosphorus and the Marmara. Longperiod effects lasting about a minute were reported from the Danube valley, from Szeged in Hungary, and from Odessa. The shock was perceptible in Thessaloniki, in Macedonia, in Dorohoi in Romania, and throughout the province of Sivas. Slumping of the coast destroyed many landing-places and coastal settlements including the lighthouse at Kaliakra. Largescale landslides along the coast continued to develop for almost two weeks after the earthquake, disrupting communications and causing additional damage. May 28, 1901: Having funded a search for oil in the country the previous year, Persia grants William Knox D'Arcy (Life: October 11, 1849 - May 1, 1917) a concession, giving him the right to prospect for oil. The so-called "the D'Arcy concession" thus secured covered an area of 480,000 square miles (1,200,000 km2). The concession stipulated that William D'Arcy would have the oil rights to the entire country except for five provinces in Northern Iran. In exchange the Iranian government was given 16% of the oil company's annual profits, an agreement that would haunt the Iranians up until the late 20th century. After the D'Arcy concession the British became much more concerned with the stability of Persia (Iran) because of their reliance on the country's vast oil reserves. September 7, 1901: The Boxer Rebellion in China officially ends, with the signing of the Boxer Protocol by the Qing Dynasty Court and the 8 Nation alliance (Austria-Hungary, France, Germany, Italy, Japan, Russia, the United Kingdom, and the United States) plus Belgium, Spain and the Netherlands. October 1, 1901: Death of Abdur Rahman Khan (Pashto: عبد رحمان خان‎)(Life: between 1840 and 1844 - October 1, 1901), Emir of Afghanistan (Reign: 1880 - 1901) also nicknamed the "Iron Emir". Abdur Rahman was the third son of Mohammad Afzal Khan, and grandson of infamous Dost Mohammad Khan. He is remembered as responsible for restoring the (relative) unity of Afghanistan as nation and buffer zone between Russia and British controlled India after the two British-Afghan wars. March 5, 1903: The Ottoman Empire and the German Empire sign an agreement to build the Constantinople to Baghdad Railway (Turkish: Bağdat Demiryolu, German: Bagdadbahn, Arabic: سكة حديد بغداد‎, French: Chemin de Fer Impérial Ottoman de Bagdad). 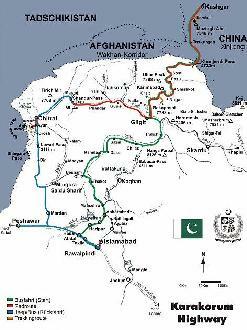 The 1,600 kilometres (1,000 miles) long railway line would pass from Baghdad northward to Syria, then through modern-day Turkey and be, linked to Europe by a bridge crossing the Bosphorous at Istanbul. Completion of the project took several decades and by the outbreak of World War I, the railway was still 960 km (600 miles) away from its intended objective. The last stretch to Baghdad was built in the late 1930s and the first train to travel from Istanbul to Baghdad departed in 1940. April 29, 1903: The 7.0 Ms Manzikert earthquake affects eastern Turkey, leaving 3,500 people, and 20,000 animals dead, while destroying some 12,000 homes. To date it ranks top among the deadliest earthquakes ever to be recorded in Turkey. May 18, 1903: The port of Burgas (Bulgarian: Бургас) on the Black Sea in Bulgaria opens.